Hello sweeties, how are you today? Do you also feel like spring and summer should return on the spot with all the warmth, the scents and bloom that comes with it? I’m really missing it. But then, did you know that the aster is blooming in autumn and did you ever really look at it to discover just how beautiful this autumn flower is? Somehow, the world is always in bloom, even when you wouldn’t expect it. 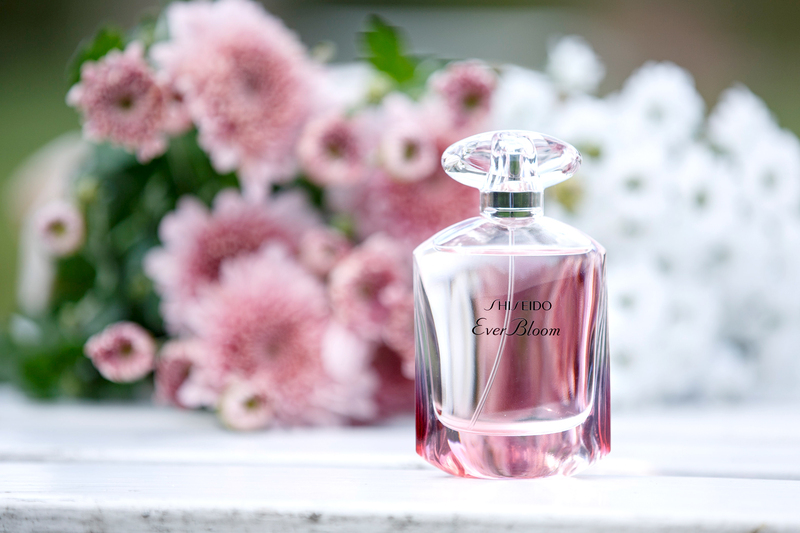 And then, there is a beautiful new perfume by Shiseido that gives me the lightness of a floral scent all year long: Ever Bloom*. Radiant and sensual in smell, just as beautiful as the flacon looks. Shiner, lotus and rose-extract give the radiance accord of Ever Bloom its naturalness, its cleanness and its inner shine. Orange blossom absolue, gardenia and sylkolide musk form the presence accord of the perfume to supply an enveloping, attractive lively feeling. And I take it out to stand out from the crowd. I walk on, carrying the scent of never ending bloom on my body just like I carry the flowers in my arms. I don’t have to seek attention, because I know who I am. My beauty shines from the inside. I don’t have to pretend. And when I leave, the scent lingers on and opens up everybody’s hearts. 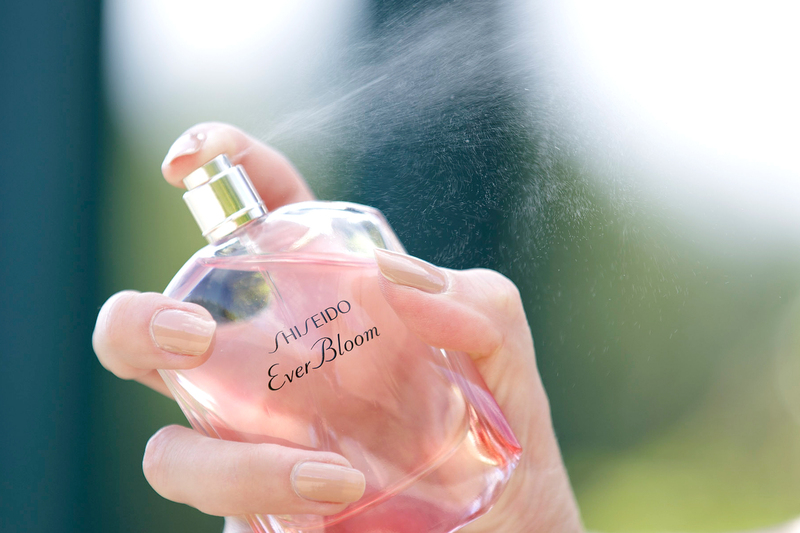 Shop Shiseido Ever Bloom at Douglas. *In lovely collaboration with Shiseido. The story and opinions are my own. Ich freue mich total, dass die Bilder so gut bei euch ankommen. Bei denen haben wir uns auch mal wieder so richtig ins Zeug gelegt und sind in Hannover in die Herrenhäuser Gärten gefahren, um sie dort zu shooten. Wow, diese Bilder sind ganz besonders schön! I’ll be honest, it seems like all post are sales post in collaboration with another company. I understand that you guys need to make a living but if that’s the only purpose of this blog now, that it isn’t for me anymore. I’m just writing an honest post (der offensichtlich nur meine Meinung wiederspiegelt), ich vermisse die Posts die mich ursprünglich zu deinem Blog hingezogen haben. Bin Deutsche aber lebe in USA und freute mich eine deutsche Bloggerin gefunden zu haben aber irgendwie hat es sich verändert. Liebe Grüße und viel Glück weiterhin. Was für wundervolle Bilder, bin ganz verliebt!!! 1. I would never sell you ANYTHING I don’t believe in and stand behind for 1000% – Shiseido for example is my favourite brand in the world!!!! 3. I never ever ever do more than 3-4 advertorials PER MONTH while posting every 2nd day – if that is too much for you, you can always go find blogs that are ad-free, but you will definitely not get the lovely high quality, variety of stories and new ideas that you are getting here. I hope that perhaps you’ll now look back into my other posts of this month of September and you will see that I only posted 1 other advertorial (DOVE) this month. Apart from that, you got (FOR FREE, my dear, YOU don’t PAY ANY money to enjoy my stories in comparison to a VOGUE or ELLE mag, where you pay over 5 Euros to look at 80% advertisements in a magazine), you also got a recipe for baking a cake and one recipe post on how to make tasty things from blackberries. You also got the chance to take part in a giveaway to win 4 YSL lipsticks that are worth 40 EUROS each (and I didn’t earn a cent with this giveaway, it’s just because I wanted to thank my readers – YOU ALL for being here), you could read and look at four outfit posts this month that were not paid AT ALL but where I bought some pieces myself, received some pieces, but that is what bloggers do and one of the reasons I can do so many lovely outfit posts at all. 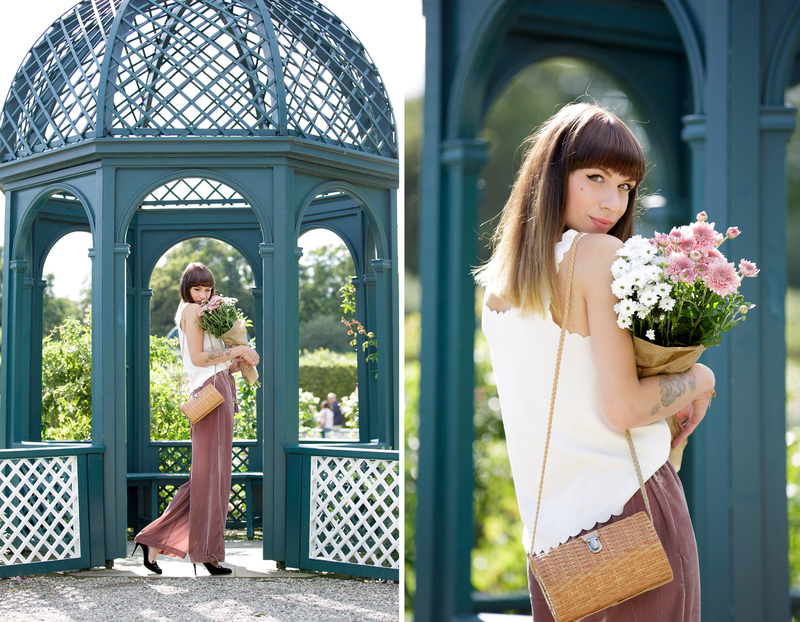 You could read a post where I asked for your help and opinion (the YSL bag, NO advertorial, I paid 1700 Euros for that bag), a FREE fashion week FILM – a full high quality FILM – to watch (that I paid for and worked on for ages, I didn’t earn a cent with that) and you got a review on my juice cleanse – I didn’t earn ANY MONEY from that, either. So now, I guess that what you think you are witnessing is simply wrong. Please look into the facts first before you judge people. That would show true strength of character. Have a super lovely weekend and do come back – perhaps you wanna take part in my YSL lipstick giveaway, too! And thanks again for giving me the chance to actually explain how much more I put INTO this blog than EARNING from it. manche Leute wollen einfach nur meckern, nimm das nicht so persölich! Du hast gar keine Banner auf deiner Seite und deine Werbung ist so wunderschön, dass sie überhaupt nicht stört! Und: besser so, als dass die Werbung gar nicht gekennzeichnet wird, wie bei soo vielen. Du hast das perfekte Verhältnis, mach einfach weiter so und hör nicht auf die Hater, denen ist blos langweilig! Wunderschöner Look, der Lust auf den Duft macht!